A more leisurely way to approach the network of Cu Chi tunnels (Ben Dinh tunnels) constructed by Vietcong fighters is to go by boat along the Saigon River. The 90-minute journey by speedboat takes guests through typically Vietnamese countryside before depositing them at the underground labyrinth itself. Relax and arrive hours before the large bus tour groups to the infamous Cu Chi Tunnels historical site. Meet your guide and small group Cu Chi tunnels half day tour upon hotel and transfer by air-conditioned vehicle to Ho Chi Minh Pier. Then board a luxury Cu Chi tunnels speedboat made of high-quality teak and sink into soft furnishings as your vessel slips away. Relax like a VIP while your captain effortlessly speeds you over the Saigon River toward the countryside and to the infamous Cu Chi Tunnels. Within 15 minutes, the banks of the Saigon river change from city sprawl to lush jungle. 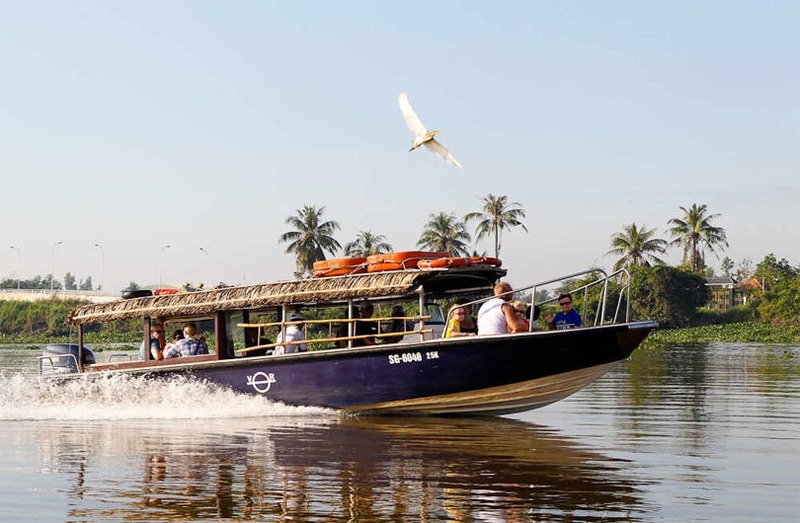 Take advantage of great photo ops of life along the Saigon riverbanks as your eco-friendly Cu Chi tunnels boat navigates the shallow, jungle-fringed canals past water hyacinths, leaving a small wake that minimizes any impact on the local environment. During the 1-hour journey, your knowledgeable guide explains rural traditions and aspects of life along the waterway. Depending on departure option selected, enjoy unlimited refreshments with a light breakfast of sandwiches or pastries, fresh tropical fruits and Vietnamese iced coffee, or enjoy a late-morning snack, served on board. Arrive at the historic Cu Chi Tunnels before the larger bus groups, then watch a short introductory documentary before you follow your guide into the winding, underground network of Cu Chi tunnels. You have approximately 2 hours to explore the Cu Chi tunnels site, which includes weapon and booby-trap exhibitions. Inside the narrow passageway of an authentic Viet Cong tunnel — part of a 75-mile-long (121-km) complex now preserved as a war memorial park — visit different underground bunkers featuring kitchens, meeting rooms, ammunition depots and hospitals. View a bullet-riddled American tank and discover secret entrances hidden by fake termite mounds and other ingenious disguises. Learn how the VC defended the underground Cu Chi tunnels from American bombs and infiltrators, and marvel at a huge crater formed by an American B-52 bomber. Try the local cassava root that sustained Viet Cong guerrilla fighters for years during the Vietnam War (known in Vietnam as the American War) and attempt to imagine what living here was like. After your Cu Chi tunnels tour by boat, you can feast on fried spring rolls, chicken and beef dishes, and soup as you enjoy an authentic, traditional Vietnamese lunch by the river. If you’ve selected the later tour, you’ll enjoy a provided dinner. 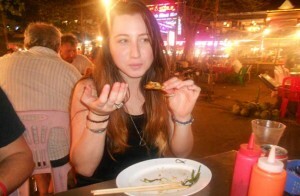 After your meal, depart Cu Chi tunnels and return by speedboat to Ho Chi Minh City. Upon arrival at the central pier, you will be driven back to your hotel. Note: from November to February, we suggest you bring a jacket for the early starts. Note: the Cu Chi tunnels tour by boat is offered on a join in basis, so there may be other guests joining you on the tour. Our maximum group size is 15 people. For guests that do not want to go in a group, we also organize private half day Cu Chi tunnels by car and private full day Cu Chi tunnels by car. 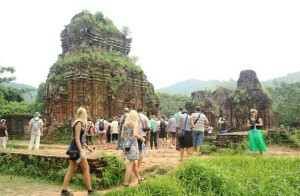 Three amazing tours: Saigon Street Art, Mekong Delta rural life and Cu Chi tunnels by speedboat! A while before we travelled to southeast Asia we contacted Detoured Asia and were quickly contacted by Joseph, who advised us how to plan our short stay in Ho Chi Minh. We booked three tours in advance and everything with the booking went super smoothly. 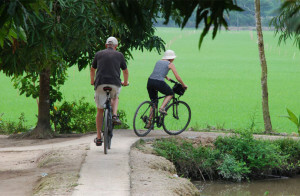 We first did a whole day trip to the rural part of south Vietnam: the Mekong Delta. Detoured Asia is the only company that offers a whole daytour that basically covers a huge part of the Delta, compared to other companies that just drive the highway to one area. We spent a great day with Joseph and the driver, who picked us up from our AirBNB. We visited a cao dai temple, a local market, did a scooterride around one area and visited several local farmers to see how they live. Also we did a boattrip on the Mekong river to Ben Tre and visited the mud beaches. We learned a lot from this trip and had a good impression of how people in the rural areas of South Vietnam live. Also Detoured Asia is the only one that offers a street art/graffiti tour in the Ho Chi Minh city. We LOVE streetart, so this was the main reason why we contacten them. Joseph picked us up from the AirBNB again and took us to many vibrant places within the city. From hip areas with apartment blocks with pop-up stores and bars to open-air graffiti art and even a gallery of a famous Vietnamese artist, where we purchased some great prints and a canvas. We really loved to see another part of the city, which we would have never found on our own. The half day tour to the Cu Chi Tunnels by speedboat also was very convenient and relaxing. You know that the tunnel area itself is super touristic, but going there by speedboat and back made it a pleasant experience! 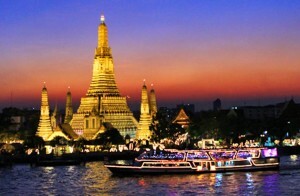 We really would recommend you Detoured Asia if you’d like to do private tours. Joseph is a great person and guide and he’ll make your stay in Ho Chi Minh unforgettable!